Once upon a time, the Women’s March was a gem in the far left’s crown of outrage. This anti-Trump movement was celebrated by liberals across society. Today, things aren’t going so well for the hate movement. As more evidence comes out of its anti-Semitic roots, noted liberals are abandoning ship. When a top leader praised a famous Jew-hater, the DNC responded. Conservatives have been wary of the Women’s March since its inception in 2017. Obviously, it was formed just to protest the election of Donald Trump to the White House. Most conservative Americans would oppose it, just on those grounds. But there was more to this “grassroots” movement that had Americans troubled. The Women’s March embraced many radical figures — propping them up as leaders. 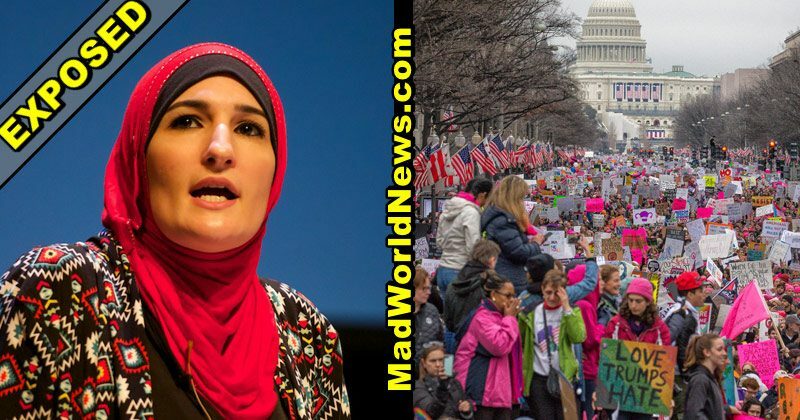 The most notable was Linda Sarsour, a Muslims-American who claimed to be a feminist icon. Yet she is an avid supporter of Sharia law — a religious social structure that oppresses women. There is even evidence to suggest that she is a fan of terrorist cell ISIS. Only recently, after the New York Times exposed the Women’s March, did liberals finally cop to the truth. The feminist movement has quickly become toxic. Famous Democrats have openly distanced themselves from it. Several chapters closed or shut down marches. After a co-president Tamika Mallory praised Louis Farrakhan on live TV, it seems that was the last straw. Now the Democratic National Committee is cutting ties with the group. You might remember Louis Farrakhan as the man who called all Jews “termites.” He is an outspoken Muslim and anti-Semite. But only recently has it seemed liberals were willing to oppose his radical, dangerous, and toxic views. While it’s no surprise that the Women’s March is losing momentum, we have to ask why it took so long. Conservative outlets have been exposing the movement’s hate-driven agenda for years. We’ve exposed how many of their leaders are pushing a racist and America-hating agenda. Yet Democrats ignored us, overlooking obvious evidence. Are they so blind they can’t accept the truth, just because it comes from conservatives? I guess so. This is the same group that denies our need for a border wall because Donald Trump says so. More than a few left-wing groups have ditched the Women’s March recently. Including Southern Poverty Law Center, Emily’s List, Human Rights Campaign, NARAL, and the Center for American Progress. According to reports, less than half of the major supporters from 2018 are coming back to sponsor this year’s march. That’s not great, ladies. The idea is to gain support over time, not lose it. Many marches planned across the country are also shuttered. Chapters in Chicago, New Orleans, Washington state, and California have all decided to nix their plans. The absence of the DNC might be the biggest loss so far. The Democratic National Committee is the central hub for every left-wing, toxic, liberal agenda in America. Every major Democrat politician bows to its whims. If you want your progressive, idiotic organization to succeed, you really need their stamp of approval. With the DNC pulling their name as a sponsor, the Women’s March’s days are numbered.